If you live on the east coast, There’s a good chance you have noticed a venue called the Envy’d Lounge pop up on your favorite artist’s tour schedule. And if you’ve Googled it, you also know that it’s impossible to locate. Good news – River Beats found it. The exclusively inclusive venue belongs to blossoming Charlotte label NV’D Records. Known for their intimate house parties, the NV’D family is successfully creating something in the scene that is truly unique. 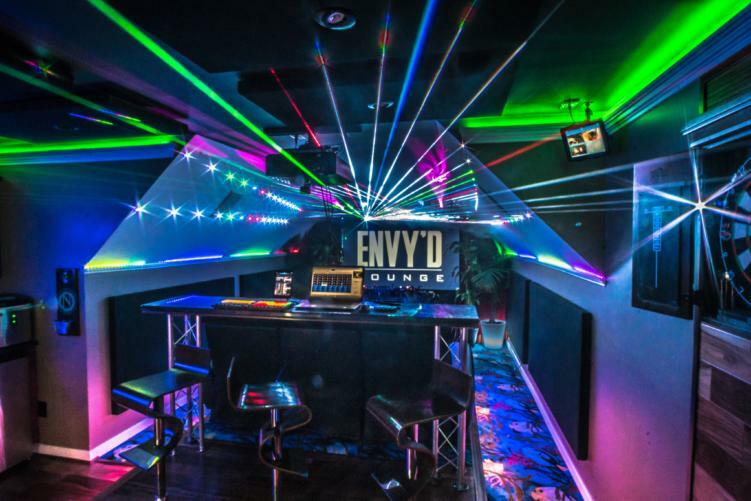 Thrown by label owner Kory Sasnett in a fully renovated room in his North Carolina home, the monthly events at the ‘Envy’d Lounge‘ and summer lake parties have been host to notable artists like Destructo, Doorly, Mija, and many others. 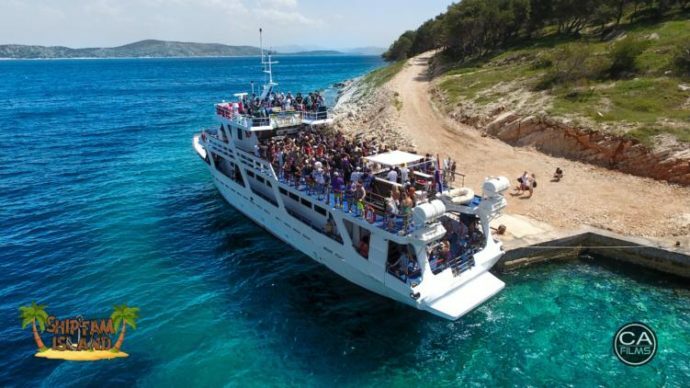 The growing label is also behind Shipfam Island, a private festival that happened in Croatia early last year. 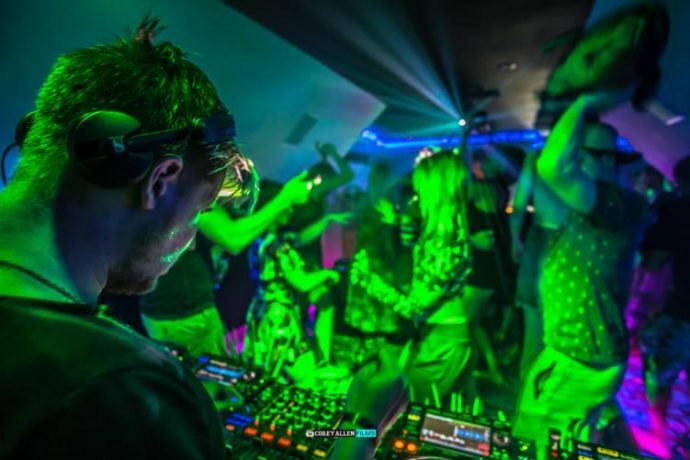 The exclusive event featured house music mainstays Claude VonStroke, Walker & Royce, Billy Kenny and more. Most recently, the NV’D crew hit the high seas to host their very own stage on Holy Ship 13.0. With an impressive set list that included Subset, VNSSA, and Hot Pot, and a surprise B2B from Steve Darko and Papa Claude, the label’s “Spaced Out” takeover seemed like a killer party. Following Holy Ship, River Beats chatted with imprint owner Kory Sasnett about the origins of NV’D Records, the exclusive Envy’d Lounge, Shipfam Island and more. Read the full interview below! Kory: “It really goes back to 2015 when I was browsing vacation rentals and randomly found a specialty Boy’s Camp in the Appalachian mountains of North Carolina that slept 200 people and offered over 100 acres of beautiful land. I posted online and asked my friends if they’d go if I rented the camp for a private party in May 2016. Over 500 people immediately said yes to an idea that was just to get people together in a remote location, with no sponsors, no promoters, and no budget for a lineup – all thrown by people with relatively little event experience. People trusted that we, as a collective group of people, could make anything amazing. The lounge is a very unique experience. I’m sure it took tons of time to develop such a dope spot for the label’s private shows. And you’ve brought some incredible and impressive names – Billy Kenny, Bijou, Sage Armstrong, and many others. Tell me a little bit about the story behind your exclusive venue. With having your own venue and picking your favorite artists to play, who would you say was your favorite booking and why? Even though the label is fairly new, you have already accomplished unreal feats (Shipfam Island Croatia, hosting big names at the lounge, etc.). Can you elaborate on how you reached those goals? Speaking of Shipfam Island…It’s still unreal to me that you hosted some of house music’s current biggest names at a festival you threw just for your friends. Can you tell me a little bit more about how that vision became a reality? “I have to give credit where it is due, and in this situation, it is due to my close friend Martin Doorly. When he played at Envy’d Lounge in March of 2017, he had heard I had been looking for an island to rent. He knew of one in Croatia and gave me their contact info – I reached out, and we made a deal. You also just hosted a stage on Holy Ship. Tell me about that experience. I’m sure reaching these goals took hard work from the NV’D crew. Who is on your core team and what are their positions? “My core team is Faren Strnad (Label Manager), Craig Jones (Co-Creator & Creative Designer) and Hilary duPont (Marketing). We manage most of the day to day projects between the four of us. When it comes to throwing big events like Camp Shipfam and Shipfam Island, the team grows to include volunteering key players (who are also paying attendees!). What is your overall vision for the label? What is one or two main goals you hope to reach within the label over the next couple of years? Who is your dream booking? Tell me what fans can look forward to in the near future from the label? Are there any specific past releases that you’d like to Highlight? Is there a particular sound that NV’D is looking for when signing tracks? Is there anything at all that you’d like to add? “I suppose you could ask what a lot of people usually want to know – if all my events are private, how do people not in my group get to come? It’s true that they’re private, but the deal is really that a friend can bring you in.